Neil Lennon insists he would have no complaints if Celtic handed the manager’s job to someone else. The interim boss led the Parkhead club to the final of the William Hill Scottish Cup with an emphatic 3-0 win over Aberdeen. Victory against Hearts on May 25 would secure an unprecedented treble Treble of domestic trophies. 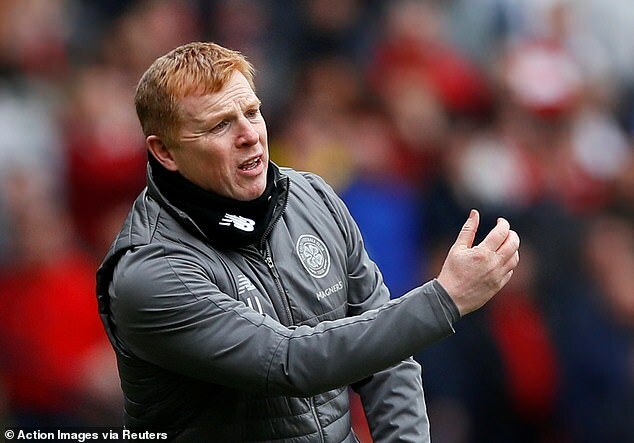 Despite major shareholder Dermot Desmond dismissing speculation over external candidates in a conversation on Saturday, however, Lennon admitted he is in the dark over his chances of landing the job on a permanent basis. Lennon is now unbeaten in eight games after being asked to steady the ship when Brendan Rodgers quit for Leicester City. 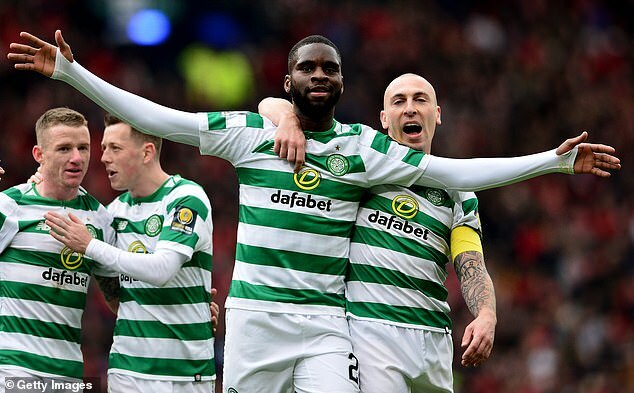 Speaking after goals from James Forrest, Odsonne Edouard and Tom Rogic blew Aberdeen away, however, Lennon revealed: ‘I spoke to Dermot on Saturday and he said all the speculation is just noise and nonsense. ‘I knew that anyway because these are class people I work for. I’ve worked for them before and know the way they work. So I know it’s just conjecture and speculation. ‘They leave me to get on with the job, which is obviously reassuring. But I didn’t need that reassurance anyway. ‘There was a lot of pressure because of the significance of the game today. If we’d lost, the treble Treble was gone and the great cup record was gone.. So it was really important to negotiate that.’ A week of fanciful bookmakers’ links with Roberto Martinez, Andre Villas-Boas and Rafa Benitez increased the pressure on Lennon. Despite Desmond’s attempts to dismiss the speculation, however, the billionaire businessman offered no long-term guarantees. ‘He’s a tough man. He is very demanding but that’s why he is who he is,’ added Lennon. ‘Again, I’ve had no guarantees, no reassurances, no promises. ‘I’m older now, I can take all the noise. Maybe ten years ago I would have got upset or annoyed about it. But not now. ‘If the club perceives the best way forward is to go somewhere else, then who am I to argue with that? ‘I’ve only been here two months. I’m enjoying it. ‘To a certain degree it’s difficult because you are inheriting a very good team who were going well. ‘You don’t want to spoil that, so it’s been a real balancing act for me on a personal level. ‘But it’s a good experience. 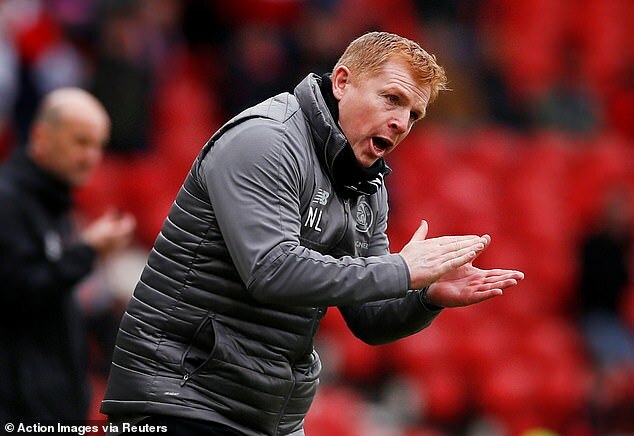 It’s a good challenge – really different pressure to what I’ve experienced before in my career.’ Asked if he feels he now deserves the job, Lennon responded: ‘That’s for other people to decide. Then I’ve got a decision as well.’ The only negative for Celtic after a one-sided win was a suspected cheekbone fracture for midfielder Ryan Christie after the nasty mid-air clash which prompted a second yellow card for Aberdeen’s Dominic Ball. Taken immediately to hospital, Christie now faces a race against time to be fit for the final against Hearts. ‘Obviously there will be a lot of talk about the sending off but, for me, it was a second yellow,’ said Lennon. ‘It’s a real bad one. I don’t think there is any real intent from Dominic to hurt Ryan but he is late in the challenge. Next articleL’amplification arctique à l’origine d’un assèchement des latitudes moyennes ?